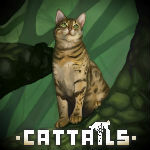 Losing save files | Cattails: Become a Cat! so whats going on is there is this one savefile (the third one down if that helps?) that has deleted two previous saves that were on it i dont share an account or anything of that sort . The first time it happened was about a month or two ago i was a bit confused but didnt really mind because i was making a new save anyway but ive just logged on the now and my other save has now been deleted and im not sure what to do .